In my last article, I discussed the benefits of coaching employees to deal with conflict in the workplace. In this article I want to look at the starting point of coaching employees to deal with conflict. Everyone is different. It is these differences that help to create the discussion and debate that lead to new ideas and innovation in products and services. On the flip side, different goals, values, and expectations create the conditions for conflict. And, in the same way that individuals react differently to pressure so do they to conflict situations. In determining the strategies and techniques required to deal with employee behavior in pressurized environments, we begin with functional behavioral assessment. Similarly, when seeking to understand how people are likely to behave in conflict situations, one of the most constructive tools available is the Thomas-Kilmann Conflict Mode Instrument (TKI). TKI is a leading tool that enables conflict resolution. It takes only a few minutes to complete, and, when assessed by a trained and experienced human capital specialist, acts to facilitate the coaching of employees to deal with conflict. Along these two dimensions, TKI identifies five responses to conflict situations. It is possible that everyone can use all five responses, but typically we all tend to rely on one or two response mechanisms. We’ve all heard of the person that avoids conflict at any cost. This is characterized in TKI as being neither assertive nor cooperative. The employee simply removes himself or herself from the conflict situation, taking neither one side nor the other. The result could also be a delay in dealing with the situation. This is the most assertive of the responses, in which the employee is determined to satisfy his or her own goals with no concern for the disputant. This may result in argument or the pulling of rank. This is often a position taken based upon individual values, though it could be based upon the perceived ‘need to win the argument’. Collaboration is completely opposite to avoidance. This is the arbitrator mode, in which the disputant attempts to find a solution amenable to both points of view. He or she wants to see his or her goals achieved, but not by stamping on the other disputant’s views and goals. This may require deep analysis of the issues, and often leads to a creative solution. The other end of the scale to competitiveness, an accommodative person does all he or she can to satisfy the goals of the other disputant. This leads to neglect of his or her own goals, obeying orders that go against personal values, and may ultimately lead to a perception of subservience. As the phrase suggests, compromise is the ‘middle of the road’ approach. It is moderate in assertiveness and cooperation, with the aim of finding a solution that is agreeable to both disputants. Compromise requires analysis of the issues, but to a lesser extent than collaboration. It also needs concessions to be made by both disputants. Everyone has a natural response to conflict, and this is predetermined by background, experience, and the context of the situation in which you find yourself. TKI helps measure the natural conflict response of an individual. With this tool, management can more easily coach their employees to constructively handle conflict. What are your natural responses to conflict? 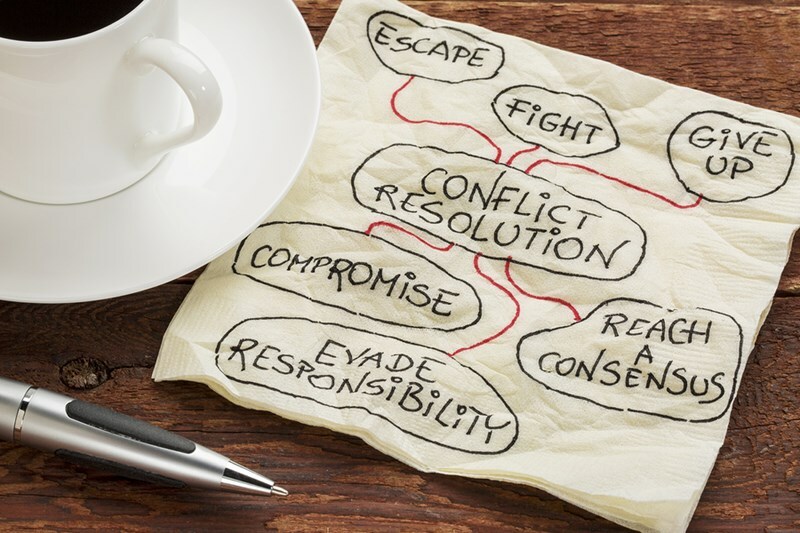 Contact Forward Focus today to discuss how TKI and conflict coaching can help your business toward its goals.